Susanne: Hey Peter! How is your new workout plan going? Susanne: What happened? You seemed so excited about your New Year's resolutions last week, saying you were going to go to the gym four days a week. Peter: I had dinner plans after work on Tuesday and Wednesday, and then on Friday, I was so tired. So it's back to the drawing board on my resolutions. Susanne: Well, two days isn't too bad. Can you plan to work out on the weekends? Peter: I was hoping to have my weekends free, but I think I might plan one weekend day each week. Then I can plan to go to the gym two days during the work week, making it three days a week. Susanne: That sounds pretty good to me. Lisa: My job interview went horribly! Jason: What happened?! I thought you said you were perfect for that job? Lisa: I thought I was, but then I got to the interview, and the interviewer started asking me questions about things I didn't understand. I was so confused by his questions, I finally just told him that I misunderstood the job qualifications and apologized for wasting his time. Jason: I'm sorry to hear that. What are you going to do next? Lisa: Back to the old drawing board, I guess. I thought this job was so perfect, I didn't apply anywhere else. Jason: Well, good luck in the new job search! 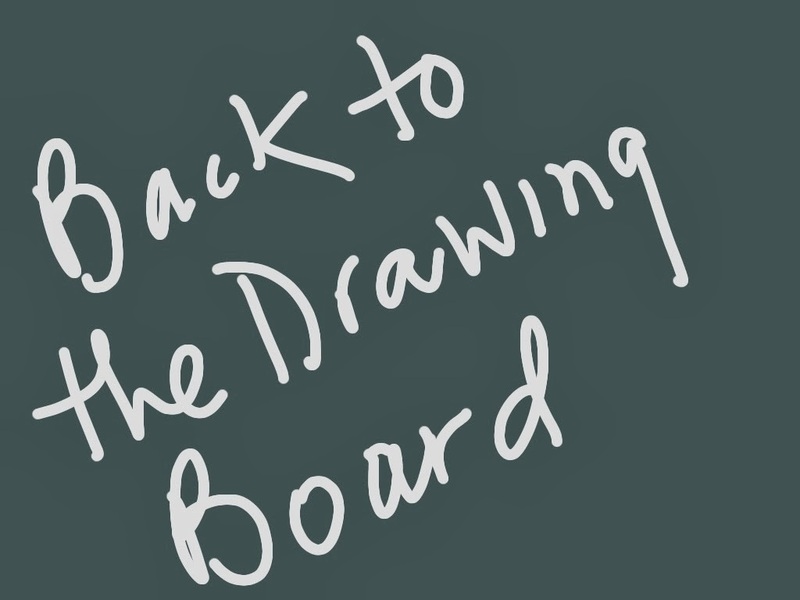 Meaning: This time, Lisa uses the expression "back to the drawing board" without a subject and verb in answer to Jason asking "What are you going to do next?" suggesting that she is starting a new job search. Also notice that she adds the word "old," which is common with this expression. The meaning does not change when you add the word "old."